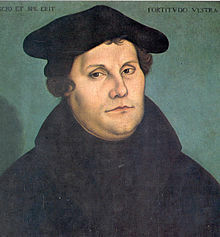 On this day in 1517, Martin Luther nailed the following 95 theses to the door of the Castle Church in Wittenberg. Although the majority of Americans continues to self-identify as Christian, American culture is increasingly post-Christian. Evangelical Christians could once assume the broader culture agreed with them about the existence of God, the shape of moral living, and the usefulness of religious organizations. They can no longer do so. The urgent question evangelicals need to ask and answer is how to minister the gospel in this new cultural environment. Timothy Keller outlines an answer to that question in Center Church. 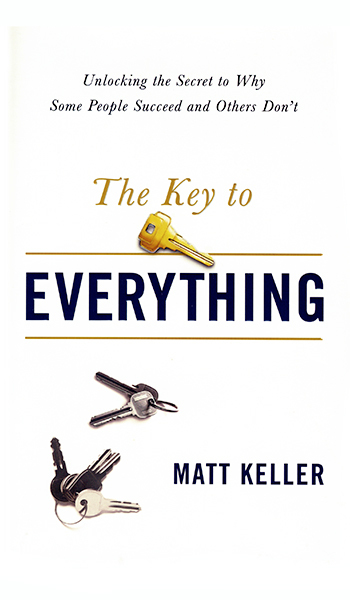 Keller is founder and pastor of Redeemer Presbyterian Church in New York City, and a New York Times bestselling author. Through Redeemer City to City, he mentors young urban church planters and pastors. Keller is also cofounder of The Gospel Coalition, a movement associated with the New Calvinism and the resurgence of a complementarian understanding of gender roles. As a Pentecostal, I disagree with both his Calvinism and complementarianism, though I hasten to add he doesn’t make them points of contentions in his book. Regardless, I believe that Center Church offers a theological vision of gospel ministry that repays careful consideration by ministers across the evangelical spectrum. Keller organizes his theological vision for ministry around three commitments: gospel, city, and movement. “Both the Bible and church history show us that it is possible to hold all the correct individual biblical doctrines and yet functionally lose our grasp on the gospel,” he writes. “It is critical, therefore, in every new generation and setting to find ways to communicate the gospel clearly and strikingly, distinguishing it from its opposites and counterfeits” (emphasis in original). Keller takes up this task in Parts 1 and 2, which focus on “Gospel Theology” and “Gospel Renewal” (or “Revival”), respectively. Parts 3, 4, and 5 focus on “Gospel Contextualization,” “City Vision,” and “Cultural Engagement,” respectively. Keller writes: “All churches must understand, love, and identify with their local community and social setting, and yet at the same time be able and willing to critique and challenge it.” These chapters are, in my opinion, the best in a very good book. We often think of missiology as the study of missions internationally—across national, cultural, and linguistic boundaries. What Keller demonstrates is that missiological thinking is relevant intranationally—within our own culture. Evangelicals should not assume, as we have done for so long, that America is a Christian nation. We should rather approach it as a mission field and think of ourselves as missionaries to it. Finally, Parts 6, 7, and 8 focus on “Missional Community,” “Integrative Ministry,” and “Movement Dynamics,” respectively. This last topic “has to do with your church’s relationships” (emphasis in original). “Some churches are highly institutional,” Keller writes, “with a strong emphasis on their own past, while others are anti-institutional, fluid, and marked by constant innovation and change.” Keller advocates a balanced position between tradition and innovation, drawing on the best of both. 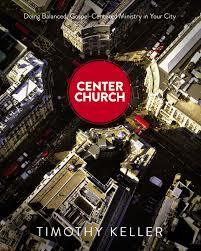 Center Church is not a quick read. It is a 400-page, two-columned textbook. If you’re looking for easy answers or quick fixes, this is not the book to read. On the other hand, if you’re willing to put in the time and effort, reading this book will change the way you think about gospel ministry in a post-Christian era. Preaching is not the only thing pastors do, but it is one of the most important things—if not the most important thing. Pastors thus need to work at perfecting their craft through constant attention to proper exegesis and hermeneutics, effective introductions and conclusions, and helpful outlines and illustrations. Because it is so useful in all these regards, John Stott’s The Challenge of Preaching should find a prominent place in every pastor’s library. First published in 1982 as Between Two Worlds, The Challenge of Preaching now appears in a third edition, abridged and updated by Greg Scharf, and published by Eerdmans. In many ways, it is a primer on preaching, an introduction to the craft. But like the best primers, it is a touchstone that helps experienced preachers test the quality of their preaching. 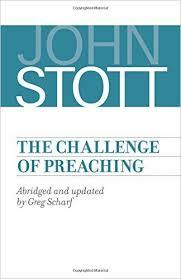 Chapter 1 identifies three challenges to preaching: “Distrust of authority makes people unwilling to listen,” Stott writes. “Electronic advances have changed the expectations of both listeners and preachers. The atmosphere of doubt makes many preachers too tentative.” Despite these challenges, Stott believes preaching is a theologically necessary task, and in Chapter 2, he outlines its theological foundations focusing on God’s revelation, Scripture’s authority, the Church’s need of biblical renewal, the pastoral role of teaching and preaching, and preaching’s expository character. Stott next turns to how preachers prepare themselves through personal study (Chapter 4) and their sermons through careful organization (Chapter 5). Chapter 4 struck me with particular force. It is easy for many activities to fill pastors’ calendars. Time for study becomes a luxury. If preaching is as important as Stott says it is, however—and I believe he’s on track biblically—failing to schedule regular time for reading and reflection is failing to do one’s job with adequate preparation. In the short term, this can be managed, but in the long term, one’s ministry becomes spiritually, emotionally, and intellectually weak. Chapter 5 talks about writing one’s sermon. This is a nuts-and-bolts chapter that focuses on selecting the text, isolating the main thought, arranging your material, adding your conclusion, and then—when everything is in place—planning an introduction that draws the congregation in and prepares them to hear the Word of God. The Challenge of Preaching is a short book: 102 pages in the main body and another 23 pages in the appendices. It can be read in a single sitting. I highly recommend it to new pastors because it covers the whole range of preaching topics quickly and memorably. However, I also recommend it to veteran pastors. It has a diagnostic simplicity that will help them identify and correct bad habits they have developed. 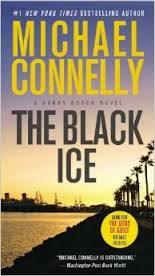 The Black Ice is Michael Connelly’s second novel feature LAPD homicide detective Hieronymous “Harry” Bosch. In it, Det. Bosch investigates the apparent suicide of a veteran narcotics officer named Calexico Moore. 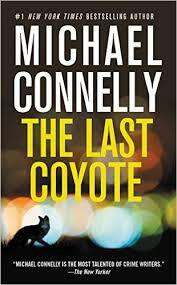 As Bosch delves deeper into the case, he is drawn across the border to Mexicali, where he uncovers layers of corruption and deception that shine an unpitying light on Moore’s apparent suicide as well as three other unsolved murders. One of the benefits of reading series novels rather than one-offs is that we get to discover what makes the leading character tick. Here, we begin to see the roots of the loneliness and cynicism that stem from Bosch’s tragic family history. We also begin to see how those very same experiences push to uncover the truth and find the killer no matter what. “I found out who I was.” That’s what Moore’s suicide note said. The Black Ice will show you who he was…and who Bosch is.